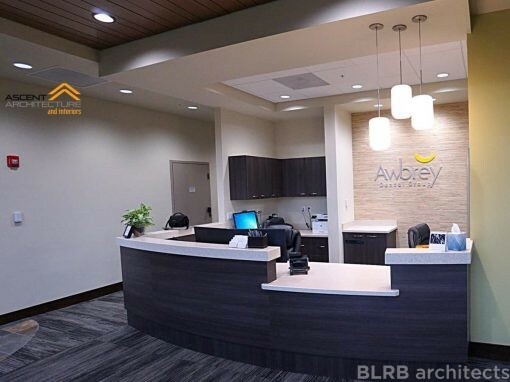 When Awbrey Dental relocated to a larger office, its owners hired Ascent Architecture & Interiors to remodel their new space. 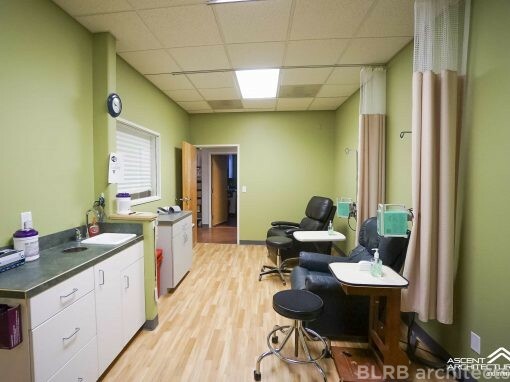 The clients requested centrally located X-ray, sterilization, and lab rooms, as well as the multiple staff offices. 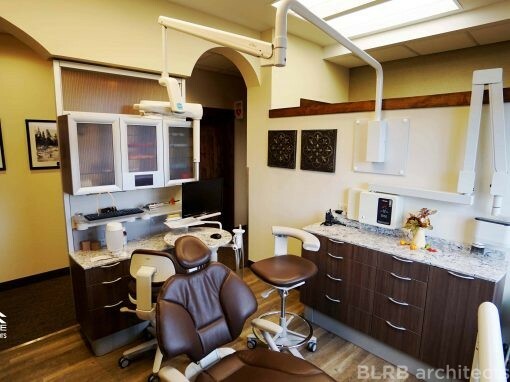 For that, we developed a new floor plan, completed permit drawings, and coordinated dental equipment. 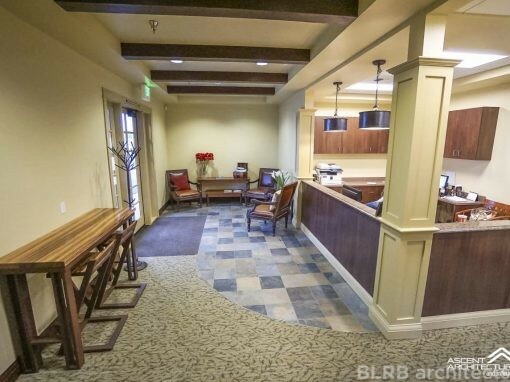 The client also prioritized privacy and a quiet atmosphere. 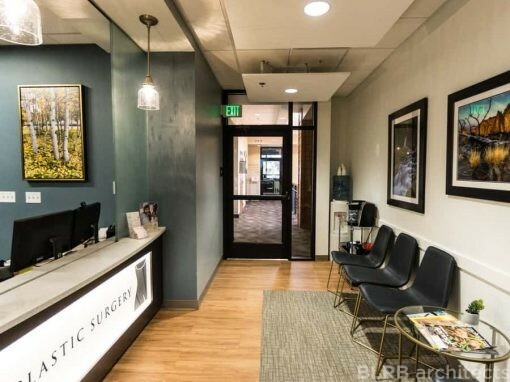 For privacy, we designed all eight operatory rooms with full-height walls. 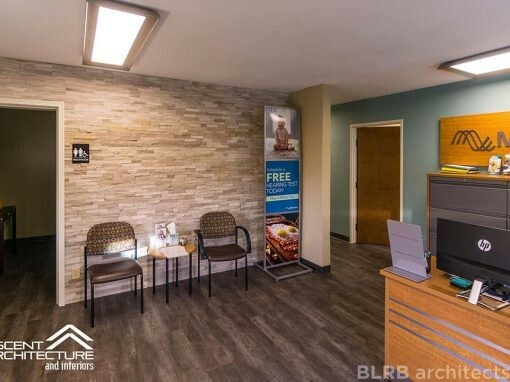 Our interior design professionals selected interior finishes, such as lighting and plumbing fixtures, colors and textiles, and furniture, to create a serene and calm clinic. We added sliding barn-style doors to conserve space and organized one office with a similar layout to the operatory rooms, allowing options for future expansion. 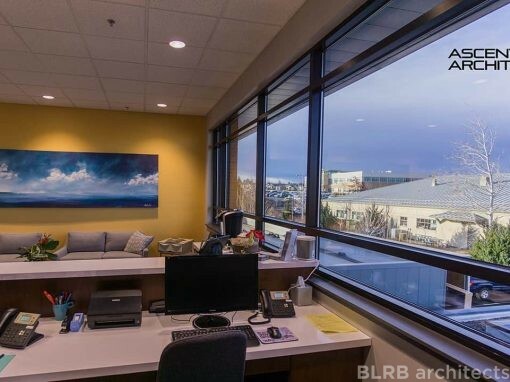 Ascent’s team kept features simple to convey a calm atmosphere. A soothing, natural color palette, including blue and green, with natural materials like grass-cloth wall covering and wood finishes, provides serenity. The waiting room is warm and inviting, using grass cloth, a wood plank acoustical ceiling, and luminary-style pendant lighting. The hallways provide patient comfort; the grass cloth ties together the front and back rooms; and lighting accents create a comforting feel. 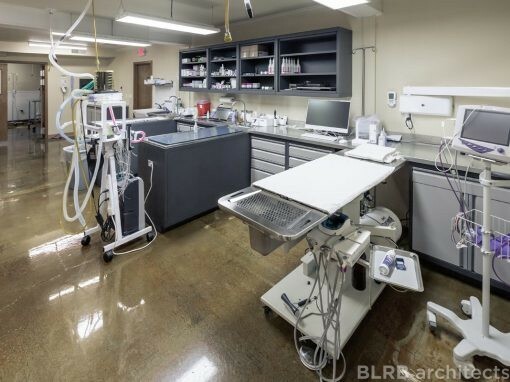 The client moved existing dental equipment from the old office to the new one. That equipment needed to fit the space and meet the new office’s electrical needs. Communication between our team, the client’s equipment supplier, and project engineers facilitated the process. 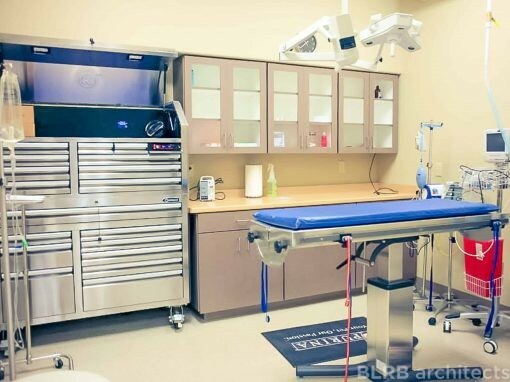 The operatory rooms have wood-look vinyl flooring, which provides texture and warmth without sacrificing durability. Horizontal lines on each of the eight operatory room doors and glass lites continue the tranquil, simple design of the space.